The Domain Louis Chenu & Filles dates back to 1914 when the great-grandfather of today's owner bought the first vineyard in Savigny-les-Beaune. With the Chenu sisters Juliette et Caroline, a new era began , the entire winery is converted to biological cultivation and focused on top quality. It's difficult to find more precise and deep Savigny-les-Beaune like these, but all the wines of the Domaine are also impertinently delicate, even in their youth . 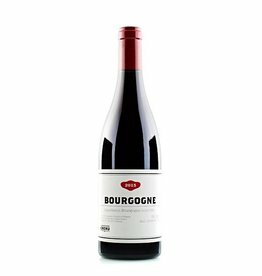 Already with the Bourgogne rouge AOP you get a lot of burgundy, which then gradually increases up to the 1er Crus from the vineyards "Aux Clous", "Les Hauts Jarrons", "Les Lavières" or "Les Talmettes", witch can be stored in bottle for at least 20 years. Another special feature of the house is the rare white Savigny-les-Beaune, which also contains 10% Pinot Blanc from the old vines in addition to the usual Chardonnay. 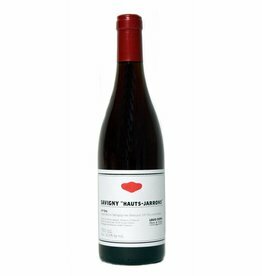 Its fine minerality reminiscent of the neighboring Corton-Charlemagne wines. The quality of all Chenu wines is based on knowledge, careful cultivation and patience. The wines are aged in barrels for up to 18 months before they are bottled, while the reds are often bottled without a filtration, in order to underline the natural style.